There's an app for everything. Even evil. Attorney Sasha McCandless is closing in on the prize after eight long years: she's months away from being made partner at a prestigious law firm. All she has to do is keep her head down and her billable hours up. Then a plane operated by her client slams into the side of a mountain, killing everyone aboard. Sasha gears up to prepare a defense to the inevitable civil lawsuits. She quickly realizes the crash was no accident: a developer has created an application that can control a commercial plane's onboard computer from a smartphone. Now it's for sale to the highest bidder. 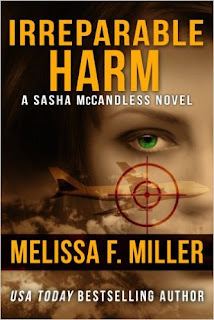 Sasha joins forces with a federal air marshal who's investigating the crash. As they race to prevent another airline disaster, people close to the matter start turning up dead. Sasha must rely on both her legal skills and her Krav Maga training to stop the madman before he kills her. Review: This was a fun read. 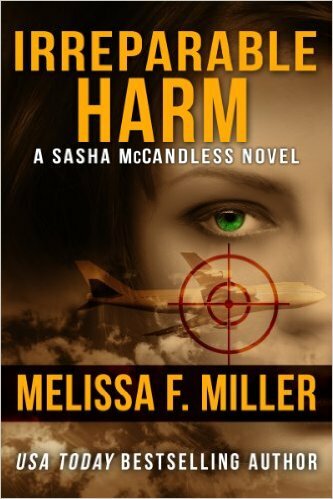 The plot was predictable but fast paced, I enjoyed the legal aspect to the book and Sasha was a good heroine. I will check out the next book in the series.